Fruits purchased in the grocery store are most often picked green so that they are less likely to bruise during shipment. Unfortunately that also often means it has very little flavor or may even be bitter. We pick our fruit at the proper ripeness to ensure you have the best possible flavor. No pesticides or herbicides are used on anything we grow. That means our fruit won't be blemish free. It may not be the prettiest fruit to look at, but most certainly some of the very best you will ever taste! 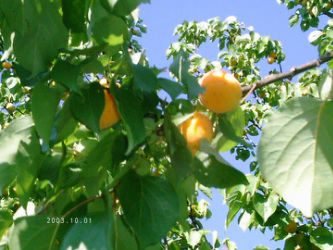 If you have never eaten Apricots or Plums picked ripe and fresh from the tree, you haven't really ever tasted one! Buy local, buy fresh and taste the difference. Farm Fresh Brown Eggs from our free range chickens. They are given supplemental feed which is NON-GMO and is soy free. 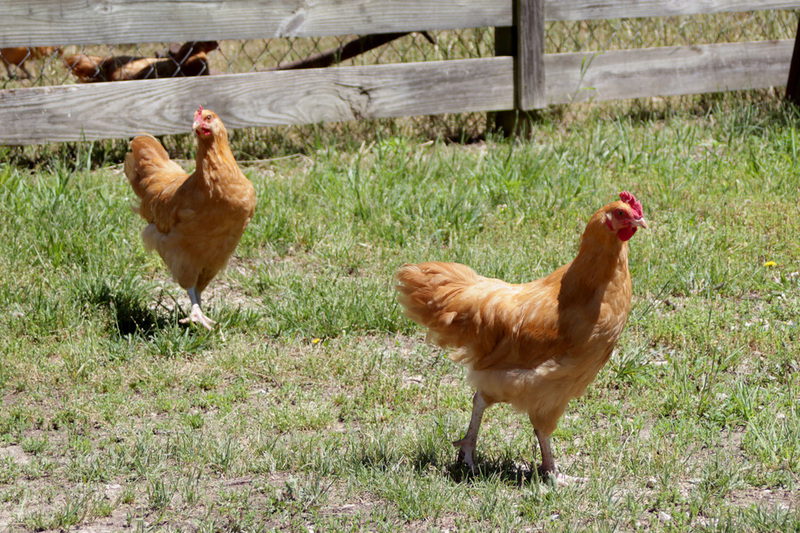 Happy chickens lay great eggs! 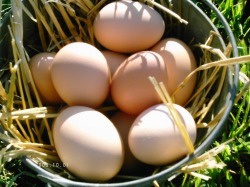 If you haven't ever had an egg, fresh off the farm, you don't know what you are missing! Beautiful rich yellow yokes with an abundance of flavor. Hand Tied floral arrangements made with native wild flowers and flowers from our gardens. Wonderful for gift giving or for a little self indulgence! 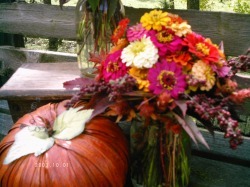 Bouquets are always changing due to the availability of flowers during the growing season and Debbie's inspiration!